I had the pleasure of interviewing Allison Clift-Jennings from Filament. 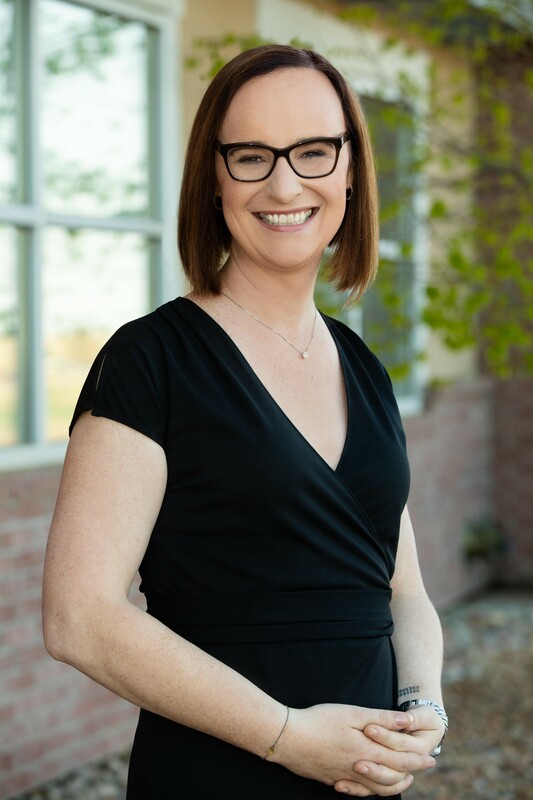 Allison is the CEO at Filament, a company building blockchain technology that makes it possible for corporations to turn their machines, equipment and industrial devices into trusted economic engines of growth. Allison believes that blockchain for the enterprise is as significant as e-commerce was for the internet. Earlier this year, the Filament team introduced the industry’s first blockchain hardware chip enabling connected devices to securely interact with and transact and economic value against a blockchain. From a very young age, I’ve been interested in building and learning about how things worked. My father taught me how to solder when I was a child, and together we were always fixing, changing and building things. That led me into being interested in computers in middle school, and in college I got involved in computer science, all of which brought me to running technology startups, and where I am today. Professionally speaking, I’ve worked within the tech startup industry for more than twenty years and have never worked for a large company. It’s always been my normal, throughout my career, to build new things in the tech industry. I believe the most interesting projects right now are around the intersection of bringing additional capability to machines. This is an area that just five years ago seemed like science fiction. For example, to have the ability to connect devices, even coffeemakers, to the internet, seemed magical in many ways. Perhaps we don’t need every coffee maker or device to be connected, but it’s interesting and important because it makes us think about the possibilities. At Filament we are working on creating the blockchain technology that allows connected machines, such as cars or energy meters, to become economic in nature. In addition, I’m personally interested in the effect that blockchain and distributed ledger technology may have on future global and societal issues, such as waste, macroeconomics or things we have not yet imagined. There are lots of very big questions to explored, and I like that what we are working on today at Filament is included in that universe of new technology creating transformational change. Early in my career, I worked for a company where a very smart and accomplished woman, Louise Wannier, was the CEO. She taught me so many things, from how to run startups and how to build teams, to how to deal with failure and difficulties. She also taught me how to be a confident, intelligent female leader. All these things I learned by being around her and watching her work her company. Louise had a science degree from Caltech and lived in the realm of physicists and astronomers that worked in that area at the time. She’d tell stories about how Albert Einstein would visit her parents’ house and have coffee. This left a strong impression on me because she didn’t let it get to her head, and she was proud to use intelligence and technology that surrounded her from an early age to change the way the world worked. One important lesson that I learned from Louise came when I was working on the company database. We were setting a new discount on only a couple of products on the e-commerce website, and I ran a query that accidentally set an 80% discount on all of the products. It was a major mistake which we caught about twenty minutes later when the traffic and sales started dramatically increasing. When I went in to see Louise about it, she asked me what happened and then said, “Okay, how can we make sure this never happens again? What checkpoints can we put in place to make sure this was a one-time occurrence?” After talking that through, she expressed to me that she was not angry, that it was a mistake, and that we would recover. She asked me to put those checkpoints in as soon as possible and move on. That experience still sticks with me because I learned that it is okay to make mistakes as long as you are conscientious and take the right steps to correct the problem and prevent future issues. It showed me how to lead in a high-volatility environment — which is essential for the startup environment. Louise has been a very strong aspirational figure in my professional career. 1) It is still so new. The fact that blockchain has only existed in the world for nine years means we’re experiencing the golden age of what this new technology can do. 2) It involves several different disciplines. There are very few industries or fields of study that include so many diverse areas of discipline. Blockchain and crypto deal with economics, computer science, cryptography, game theory, psychology and systems theory. Because of this, we can invent a new way of doing something we all do every day — which is buy and sell things. From an intellectual curiosity standpoint, it’s incredibly rich and diverse. 3) It is controversial. It elicits a lot of strong opinions about how it should be treated, used or not used. This is a good indicator that it’s powerful as a concept and that people care. 4) It is the evolution of cryptography. There’s often a confusion between crypto and cryptography. Crypto being cryptocurrency, and cryptography being the study of how to hide messages and secure computer systems. Cryptography dates back to Egyptian and Greek times and has been used throughout history. We have arrived at the next era for cryptography where we are working on the technology that will continue to preserve trust and privacy, which I believe are fundamental human rights. 5) It’s an open door with global reach. When any new industry or technology hits the world quickly, it opens the door for a lot of people to get in without there being too many existing players, cliques, clubs or good old boy networks. While this industry seems to be a lot like other tech industries in terms of its homogeneity, I appreciate that because it is new, anyone can participate regardless of background, social class or gender. I love the fact that there is a reasonably large number of women involved in comparison to other technology verticals like big data or artificial intelligence (AI), though we can always do better. Additionally, there are no geographic boundaries for blockchain and cryptocurrency. It is not specific to a particular demographic. This is very powerful. People are using it to pay each other in villages in Africa. 1) Unknown long-term ramifications. As an industry, we are at risk of not being concerned enough about the long-term ramifications of this technology. Any tool can be used to build or destroy. A hammer can be used to build a home or hurt someone. In the case of blockchain, I believe it is not yet possible to fully understand how it will affect society, and it is so powerful that it can be harmful at large scale quickly, so we need to be constantly thinking ahead. 2) Scams and get rich quick schemes. The industry has recently attracted some people simply interested in getting rich quickly. The initial coin offering (ICO) and token craze is frustrating because it’s a very powerful concept that should be used for good and not for scamming or taking advantage of each other, as has been the case in many circumstances thus far. 3) Blockchain purists. If too many people believe that there is only one true blockchain, which is Bitcoin, and one true consensus algorithm, which is Proof of Work, then our potential will be limited. I believe it is not about purity, it is about progress. Things as advanced as blockchain and crypto are inevitably going to have different implementations that are appropriate for different uses. Purists could taint future efforts to invent next-generation technologies. 4) Trust at large scale. Due to the decentralized nature of the blockchain and crypto there is no owner and no boss. It is a technology that requires humans to collaborate and come to consensus on their own. Unfortunately, humans have not had a lot of time to learn how to trust each other at large scale, historically speaking. We still tend to fall into “us and them” camps which may be an evolutionary hangover that helped us as warring villages, but that we no longer need for survival. The tendency towards tribalism could slow the advancement of the technology, but my hope is that we can get there and learn how to trust each other on a large scale. 5) Blocked progress. If people do not learn how to cooperate and agree on the use of blockchain technology, it could hinder the progress of future blockchain and decentralized development. I believe that humans are capable of very good things, but the risk of getting stuck in silos could cause future blockchain efforts to stall. I’m a transgender woman. Going through the personal journey of deciding to make myself whole and correct about four years ago, so that I could be the full version of myself, allowed me to be successful for the team I was leading and the business overall. Being visible as a trans woman is not something most people want to talk about or even admit, as it is still very stigmatized. Before I transitioned, I had seen people and read about people who had transitioned, and it gave me confidence that it would be possible. 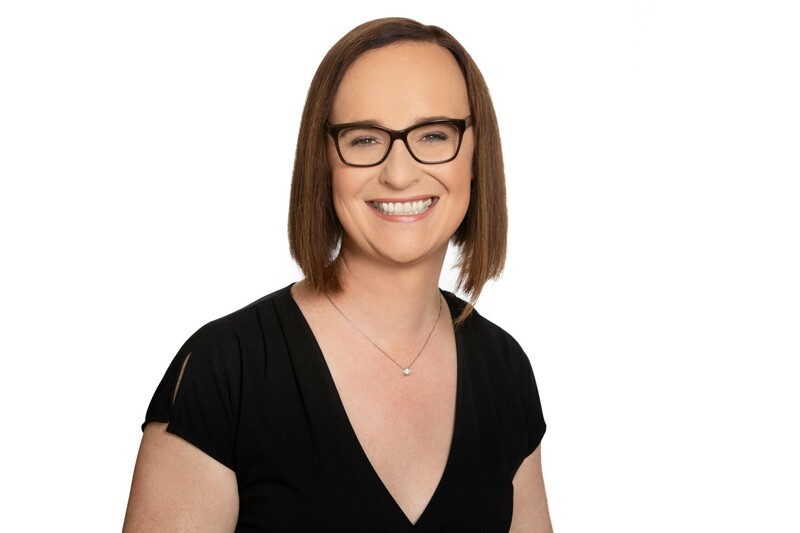 So, while I am not outspoken, I am open about it and hope that it gives other people in similar situations the ability to see that it is possible to start a business, raise money, transition and build a successful company while becoming their true selves. When other transitioning people reach out to me with questions, I’m always happy to receive their messages and hope that by sharing my own experience, they can gain some confidence. Everyone has to make their own choices, for me, the success that resulted from overcoming my own fears about who I really was gives me the opportunity to hopefully help others to live their fullest lives personally and professionally. Whether someone is gay or lesbian, marginalized or underrepresented, it is so important to be your true self. I find that it is hard for people to be against someone or to dehumanize a person when there are examples right in front of them. I believe that being out is important, and for me breaking down barriers about stigma by simply existing is the biggest form of activism there is. 1) Find a mentor as soon as possible. Find that person who you are afraid to approach because you think he or she is way out of your league. That is the type of person you want as a mentor because they will bring you the furthest along. Looking back on the times I felt I have grown the most as a professional and a person, and it was when I was being mentored by someone, getting feedback, guidance and help. 2) Say yes. When you’re on the fence about a yes or no decision — starting a company, taking a job, or quitting a job — as long as it is not irresponsible or reckless, my advice is to tend toward yes. People tend to regret the things they decline more than the things they accept. Often times people find that they are more adaptable than they thought they were and that a lot of the fear they had was unfounded. 3) Don’t quit. A cliché but true, especially in the startup world. The only thing that can stop you from accomplishing your goals is you. It may not happen the way you expect, or look exactly like what you originally envisioned, but if you set your mind to something you can absolutely make it happen. Serena Williams. She’s amazing in so many ways. She has overcome so much, and she doesn’t make a big deal about it. She just continues to rock it. It is amazing to watch someone do that. People, like Serena, are inspirational when they are their true selves and don’t hide it. She’s absolutely empowering, and I use that as inspiration for my own endeavors.